Are you a car connoisseur or collector living in the Kensington and Chelsea borough? We’re sure that you, more than anyone else, know the cost and security risk of parking your stunning, collectible vintage or sports cars the streets of London. Have you considered installing a car park with an elevator in your basement? It’s the ultimate luxury feature that allows you to feel secure in the knowledge that your latest classic Aston Martin or Lamborghini is tucked away safely and that you can take it out for a spin by simply pressing a button. In fact, not too long ago a Middle Eastern Royal, with a fleet of over 80 supercars paid £21 million for an underground car park in the glitzy Knightsbridge neighbourhood, not far away from luxury department store Harrods. (Independent, 9 Feb 2017). According to an article in the Daily Mail, one of the latest luxury home improvement features in the Chelsea area has been the £50,000 Thunderbirds-style pop-up garage. 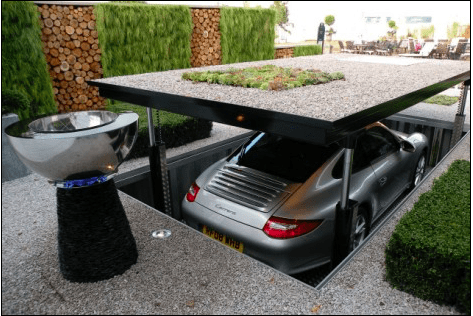 The garage uses a hydraulic platform which can be hidden under a water feature, flowerbed or patch of gravel – or even a second car. The modern Cardok lifts out of the ground at the touch of an electronic key fob. Eight underground garages have already been built, four are in production and more than 10 are on order, with interest highest in Westminster, Kensington and Chelsea, Ealing, Dulwich and Highbury. The hydraulic system allows urban homeowners to hide luxury cars beneath a normal-looking driveway – before summoning them to the surface at the touch of a button on a fob. We thought we would answer some FAQ’s about car elevators that might be on your mind if you are considering installing one for your exclusive car collection. 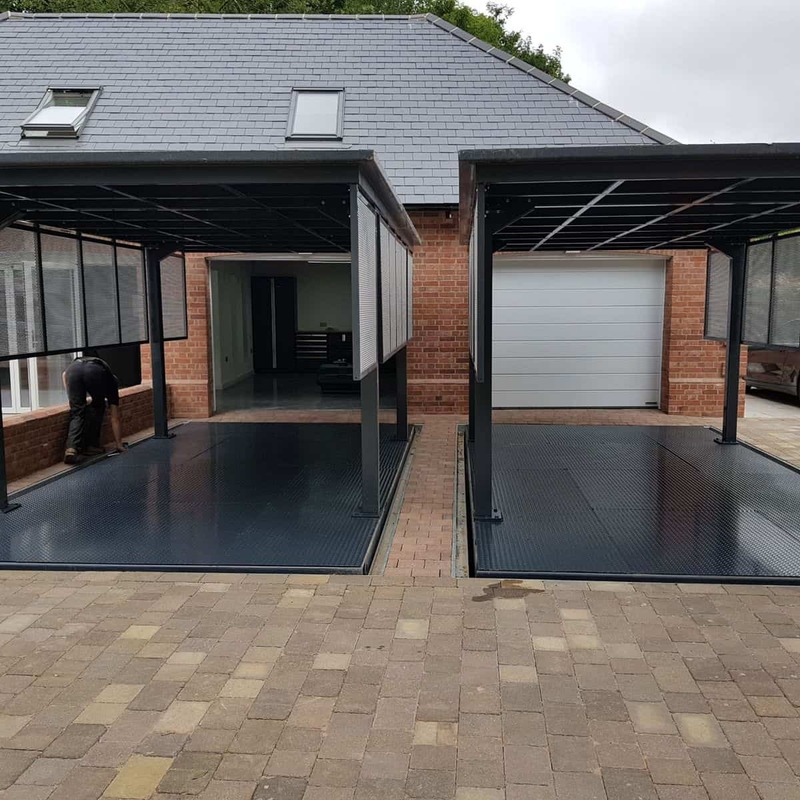 According to Cardok, their standard parking solutions are available from £35,000 but a lot of projects, especially the made to measure ones, can go over a few hundred thousand pounds. How high of a ceiling do you need for a car elevator? Car lifts don’t fit very well in garages that are less than 22 feet deep. Ideally, the ceiling should be at least 11 to 12 feet high (though this author has used one – carefully – with a 9 1/2-foot ceiling). 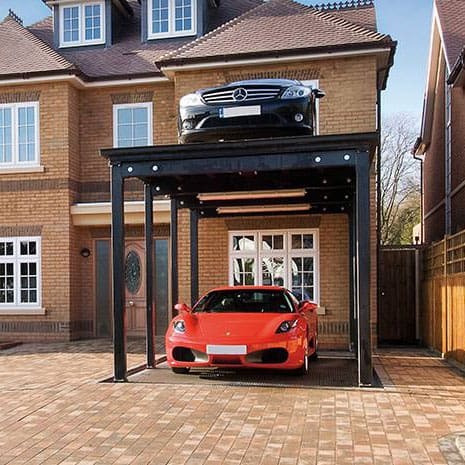 Do I need planning permission to install an underground car lift? Depending on the size and structure of the lift and/or a basement garage, you may need planning permission. We suggest you check with Kensington and Chelsea council once your plans have been drawn up. What are the types of car elevators available? Who are some of the leading car elevator companies in the UK? If you are planning a complete home refurbishment that includes a car elevator, you will need this to be a part of your overall home design and plan. We believe you will need an experienced construction company like SDA Build to work with the car elevator company to design and build a system that works within the framework and structure of your current property or that will work in your newly refurbished property or new build.If you would like some advice on what we believe, given our experience in the Chelsea and Kensington areas, would be best suited for your home and lifestyle, give us a call on 0208 191 7595 or email us at enquiries@sdabuildlondon.co.uk. A member of our team will contact you and we’ll be happy to visit your property and discuss your options. “Luxury must be comfortable, otherwise it is not luxury.” Coco Chanel.